Everyone wants to feel safe in their homes. A recent survey by real estate firm Coldwell Banker revealed that homebuyers were highly interested in smart security features. 70% of respondents said they wanted smart fire and carbon monoxide detectors in their next home. Over 60% of the people surveyed were found to be interested in having smart locks, smart lighting, and smart surveillance cameras installed before they moved in. This kind of data would indicate that homeowners are motivated to use newer technology to keep tabs on their homes and make sure that their homes, possessions, and loved ones are safe. So, if that old-style alarm system with the timed beeps for arming, the inconvenient control pads, and the sensors that inadvertently go off at random aren’t going to cut it, what are consumers looking for? They’re looking to be aware and be informed at all times about what’s going on at their home. But beyond alerts and viewing a video feed from a security camera, they want a system that is flexible, as well as proactive in its ability to react to potential incidents. 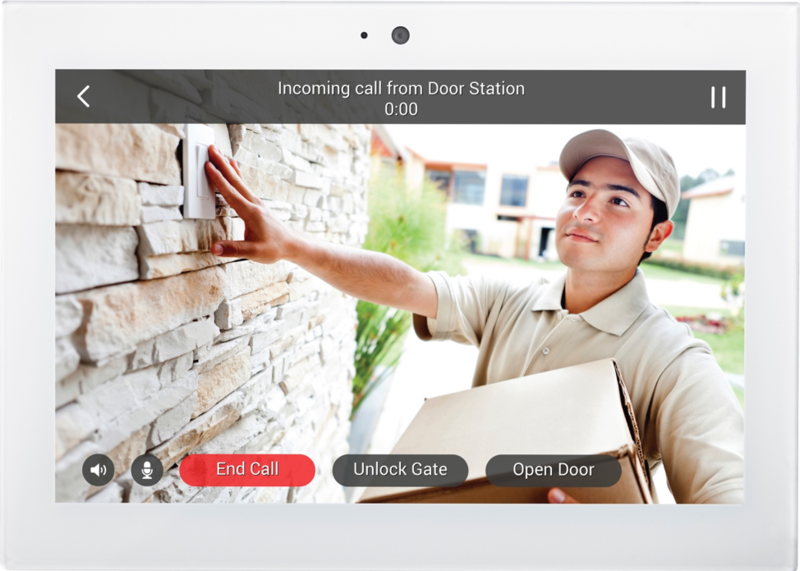 A Control4 smart home security system has the power and intelligence needed to take your Vancouver, WA home’s security to the next level. Read on to learn about the security features that can deliver true peace of mind. Encore Audio Video is rated 4.6 out of 5 based on 32 reviews from around the Web. The staff is very knowledgeable and helpful. They really know their stock and listen to the customer. A store that offers actual hi-fi! The staff is extremely passionate about sound and very knowledgeable. Encore stands by their products. Their technicians also know their business and seem able to solve any problem I have hooking up gear and making it work. I have been doing business with this company for 20 plus years and they have always exceeded my expectations with phenomenal product knowledge and the install crew is fast and efficient, jobs well done! I spoke with Clark, a very concerned professional store employee who said that he would order me the two remotes that I wanted. The team at Encore Audio Video are super helpful and knowledgeable. I would highly recommend them. I ended up buying some additional equipment from them because their prices were very competitive, but the real value is their expertise. I highly recommend Encore and I'm very glad I stumbled in. Superb place and friendly knowledgeable staff who aren’t frightened of selling something for $200 if it’s the right thing to do. Clark and Jeff are the highest caliber service people with an extreme depth of knowledge about the products they sell. Super knowledgeable and efficient! Great to work with. These guys are amazing! This was my first foray into quality AV components. This was my first foray into quality AV components. From the minute I walked in, I was greeted by a friendly staff going out of their way for my store experience. You’ll be happy you did! I’m impressed with the team’s technical skills and commitment to quality. It’s great to be able to rely on Encore to fill in the gaps. Excellent product line. Responsive service calls when I have a problem with a glitch or a needed update. Fun, upbeat guys.